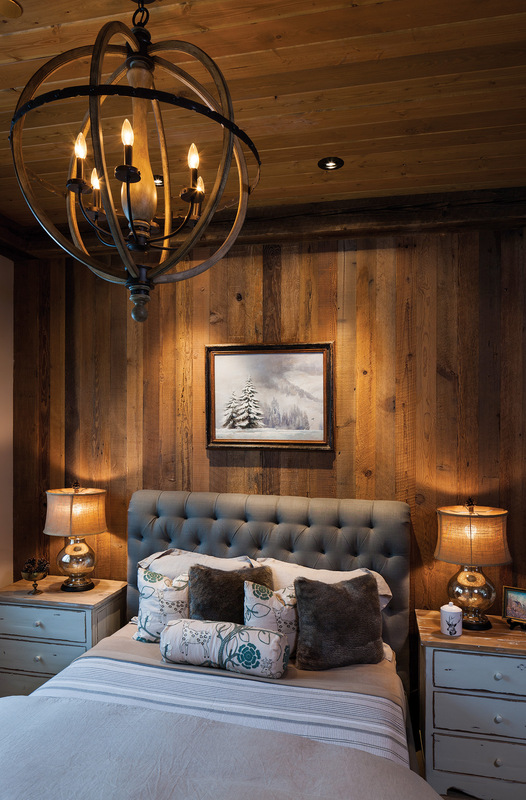 WHEN DETERMINING WHERE TO BUILD a 6,600-square-foot home in Big Sky, Montana, architect Reid Smith and builder John Seelye brought a ten-foot-tall ladder with them. It didn’t matter that it needed to be grounded in the snow. Or that they were snowshoeing through the woods, dragging this cumbersome thing behind them. They set up the ladder and peered through pockets between the trees, determined to find the best placement for the home’s great room. 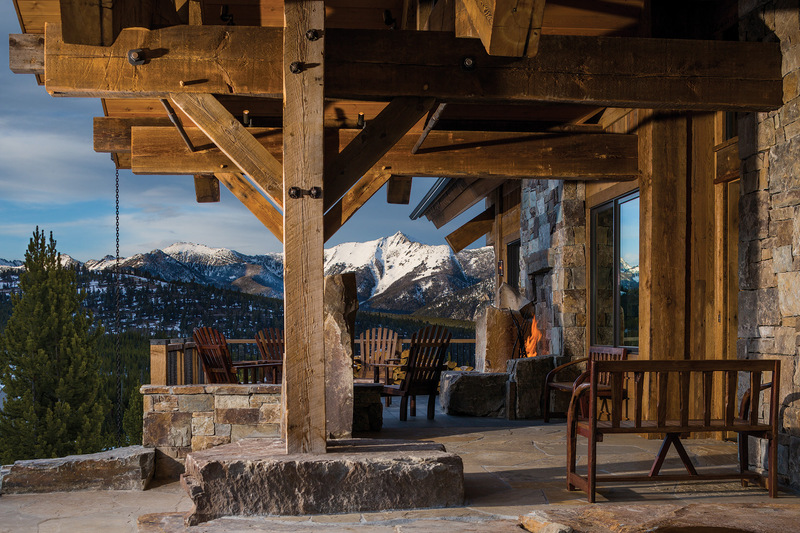 Ultimately, the spot where their client would eventually sit and take in the panoramic view of the Spanish Peaks. From that site visit the home’s design unfolded organically, Smith said. The expansive view was the anchor, but capturing it wasn’t only about the home’s orientation on the site, it also needed be to achieved architecturally. Smith designed the great room as “an appendage,” which was elevated above the tree line for lateral views that span the open floor plan, allowing the landscape to be visible from the great room, dining room, kitchen and front entry. 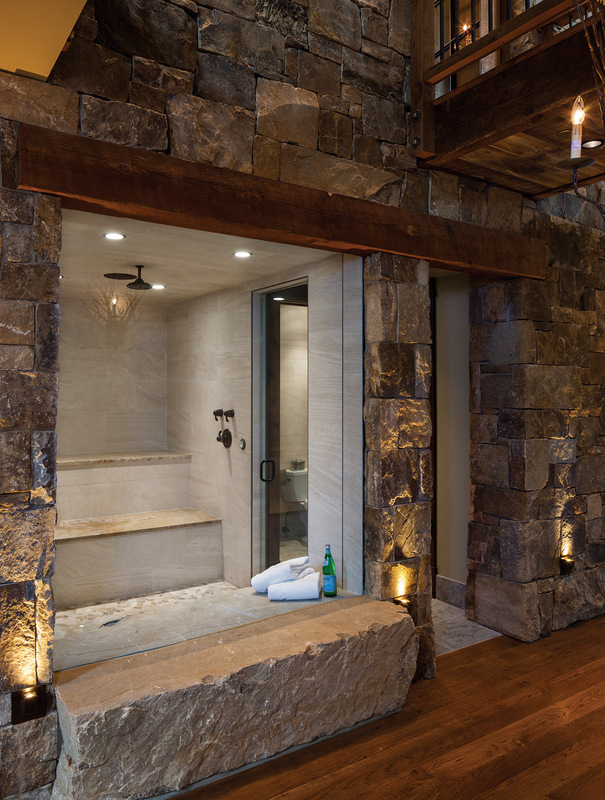 The seven-bedroom and nine-bath house is a mountain-style home with contemporary twists. Stylistically, it was designed with strength in mind. It’s well anchored to the landscape, blending in with its surroundings. 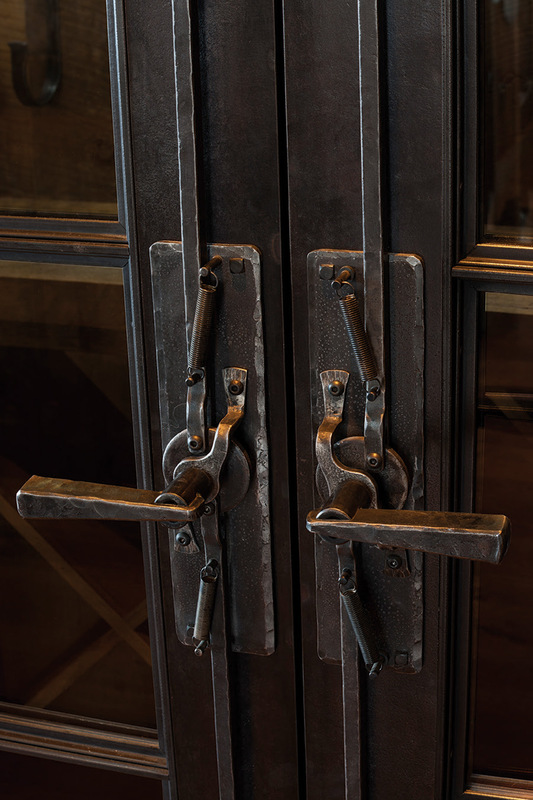 The home includes refined rustic details, such as the timber-peg joinery in the great room, and there are also industrial components throughout, found, for example, in the triangular webbing of the great room trusses and in light fixtures, especially the large fixture that was designed by interior designer Erica Jennings of Carole Sisson Designs and manufactured by Fry Steel and Woodworks. 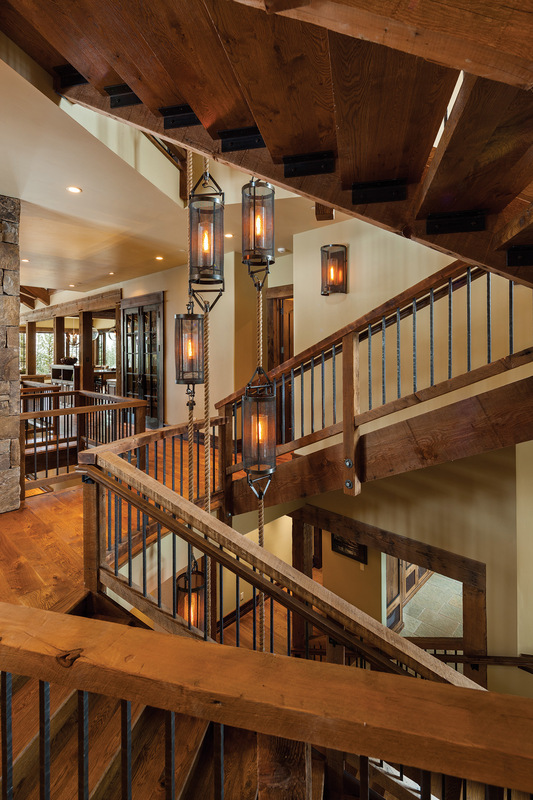 Made from iron and rope, the fixture is a focal point at the home’s south end and is wrapped by a staircase leading to the second floor and basement. The home’s interiors focuses on function and an organic contemporary style, which uses natural and indigenous materials but in a cleaner manner. 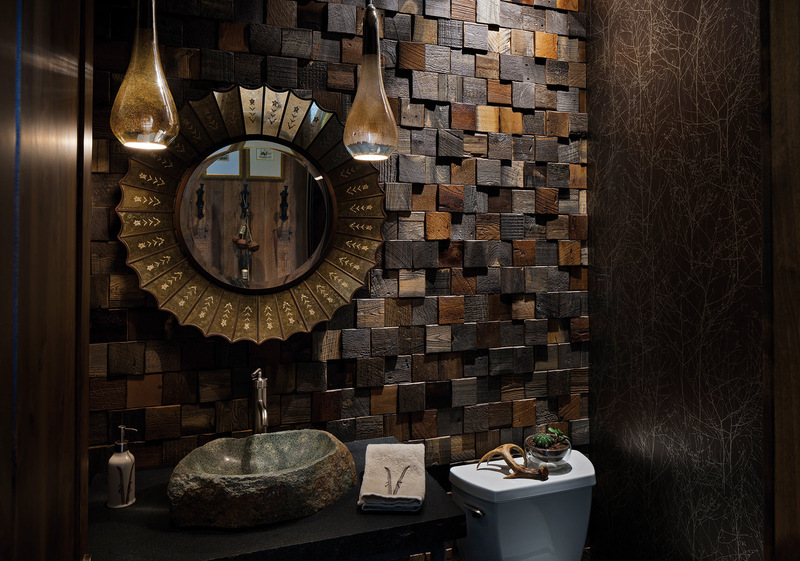 Neutral colors and rich textures add cohesion throughout. In addition to the view and gathering spaces, the homeowners also requested private areas where they could retreat. “There’s definitely an emphasis on the main living area and having those views but then as you go back into the house you see there are all sorts of pockets,” Smith said, giving examples of hidden nooks for bunkbeds upstairs, the office that is accessible by bridge and a sunroom located off the master bedroom. Plenty of outdoor spaces, such as patios and balconies, ensure that the view can be enjoyed year round in the fresh air. The dining room is located off the great room. 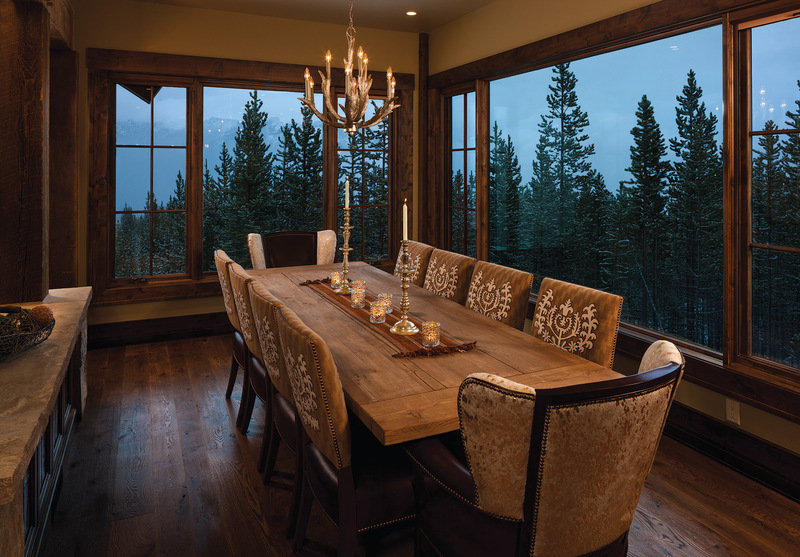 Large windows frame the view, which is visible from any seat at the table. 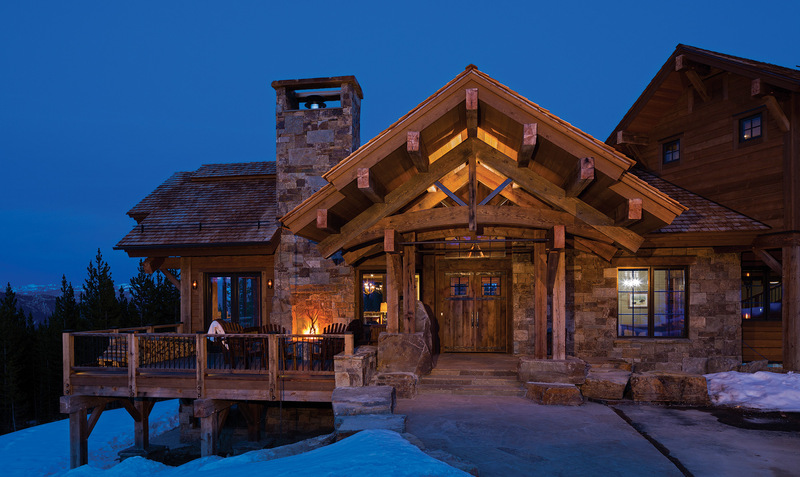 A welcoming front entry is a hallmark of mountain-style homes. Each bedroom has its own bath. 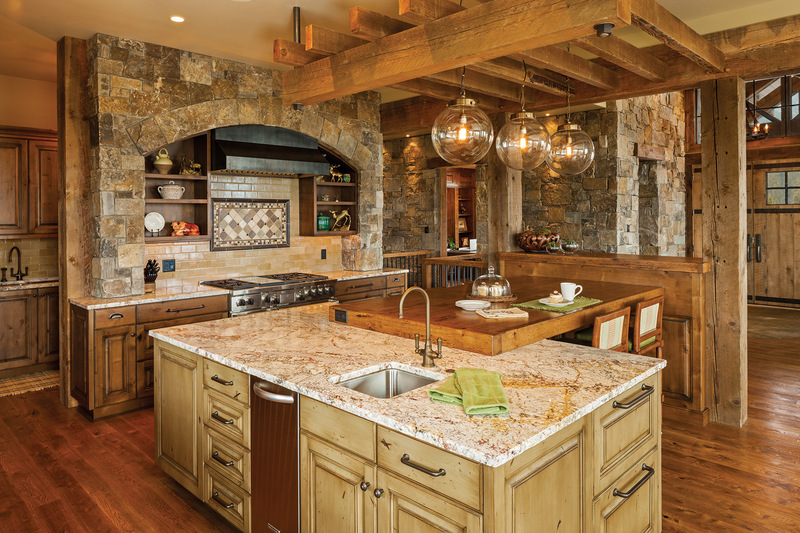 Here, a natural stone sink adds a rustic touch. A custom-designed light fixture spans the length of the home’s three floors. Custom designed from floor to ceiling means attending to every detail. 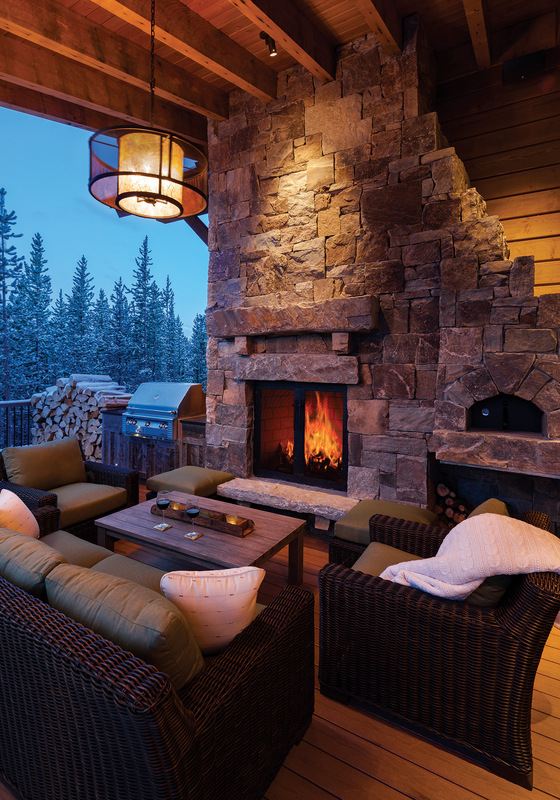 An outdoor fireplace is the perfect place to relax after a day on the slopes. “These are truly custom homes in every aspect. 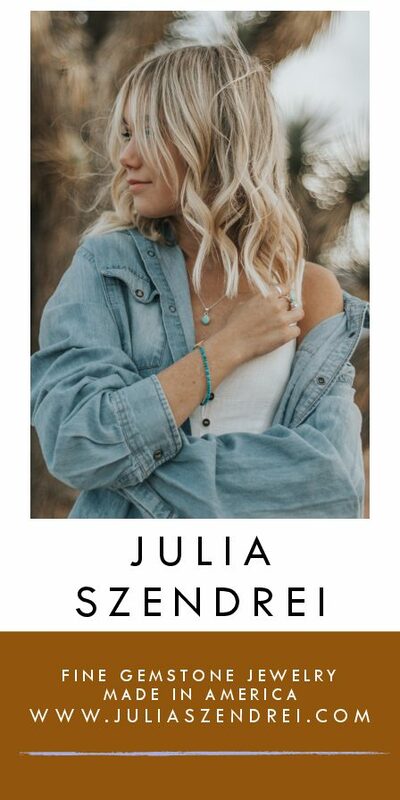 Every home is specific to the location, the site, the typography,” said John Seelye, the builder. Big Sky Journal captures the full range of the culture and lifestyle in the Northern Rockies. 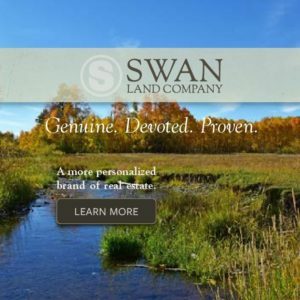 Stay up-to-date with everything that's happening in the Northern Rockies. From local deals to free family events, we'll make sure you always know what's going on so you can plan your weekends.